The New Jersey-based business ranked among the top companies on the Best Professional Recruiting Firms list. 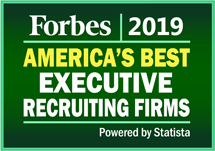 SKILLMAN, New Jersey (April 17, 2018) — PrincetonOne, a nationally recognized talent solutions company was recently named to Forbes 2018 list of Best Professional Recruiting Firms for the second consecutive year. 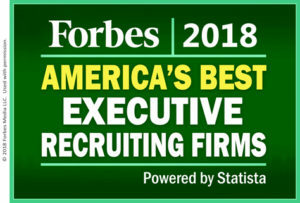 Forbes partnered with the analytics company, Statista, to compile the list of best recruiting firms. Statista surveyed 30,000 recruiters and 4,500 job candidates and human resources managers who worked with recruitment agencies over the last three years. Respondents were asked to nominate up to 10 recruiting firms in the executive and professional search categories. Firms could not nominate themselves and last year’s findings were considered. More than 14,500 nominations were collected, and firms with the most recommendations ranked highest. PrincetonOne is a nationally recognized talent solutions provider helping companies grow through Recruitment Process Outsourcing, Professional Search, Executive Search and Contract Staffing. Regardless of the size or scope of a project, PrincetonOne has the expertise to deliver scalable solutions that are positioned to deliver results. Its deep industry experience combined with a broad range of services and capabilities enables the firm to help companies reach the highest levels of excellence in their talent solutions. 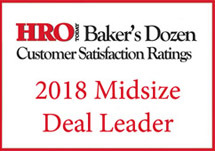 Since its inception, PrincetonOne has emerged as a leader within the talent acquisition industry, achieving many awards including being ranked on HRO Today magazine’s RPO Baker’s Dozen list consecutively for the past nine years. To learn more about PrincetonOne, visit www.PrincetonOne.com or follow us on social media @PrincetonOne.